BUKAVU, Congo (AP) — Forty thousand more Rwandan refugees hiding in eastern Congo forests will soon be airlifted home, Congolese and U.N. aid officials said Wednesday. Patrick Tezier, a spokesman for the U.N. High Commissioner for Refugees in the eastern town of Bukavu, said a U.N. team traveled 75 miles on Tuesday to Shabunda, where the refugees are camped. He said they would be flown to western Rwanda as soon as possible, though he did not specify when. But the regional vice-governor, Benjamin Nkundabantu, said his forces would not let any of the armed militiamen who have mixed with the refugees leave until they put down their weapons. The United Nations says about 250,000 Rwandan refugees are unaccounted for in Congo. They were among 1.1 million Rwandan Hutus who fled their homes in 1994, fearing retribution from the Tutsi-led government for a slaughter of 500,000 minority Tutsis that was organized by the previous Hutu-led government. 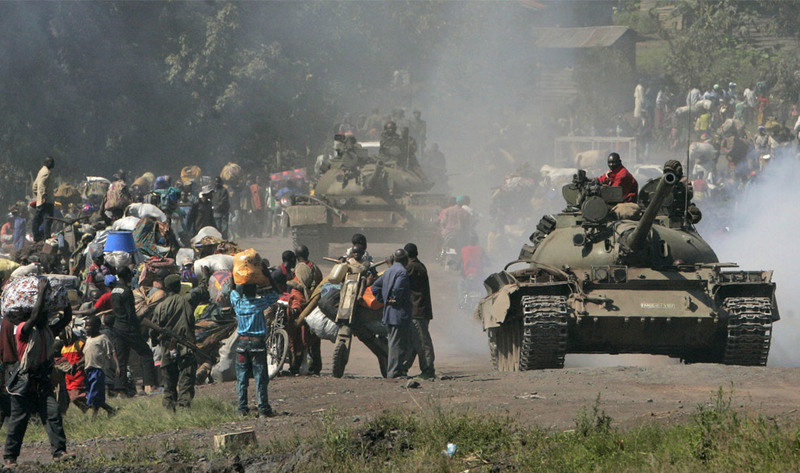 More than 700,000 people returned home after Laurent Kabila's rebels took up arms in October and attacked Hutu militants in refugees camps in Bukavu and elsewhere in eastern Congo. Another 50,000 have been flown back by the United Nations since April 27. Of those still missing, aid workers say thousands may have been killed by Kabila's soldiers, many of whom are Tutsis from Congo or Rwanda. Kabila, now president of Congo, denies his forces were involved in mass killings. Nkundabantu said armed elements among the refugees — former Rwandan Hutu soldiers and Hutu militia — have been attacking and looting villagers north of Bukavu as well as clashing with soldiers. He said refugees should be repatriated quickly, but warned he would not allow armed elements to be treated as typical refugees. An advance team of U.N. investigators was to arrive in Kinshasa, the capital, on Friday to prepare for an investigation into the allegations of mass killings by Kabila's troops during the recent civil war that ousted longtime ruler Mobutu Sese Seko. U.N. spokesman Fred Eckhard said Wednesday that a Chilean lawyer was removed from the advance team because Kabila objected. Roberto Garreton headed a U.N. team that earlier this year generated a list of 40 sites where mass killings may have taken place. Eckhard, speaking in New York, indicated that Garreton would be part of the larger team that will begin the full investigation July 7.